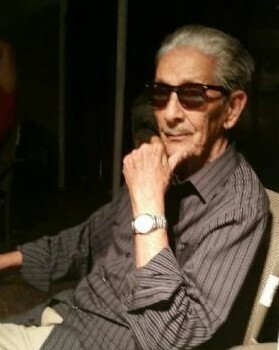 Ruben Jiménez Martínez Sr., 96, of Baytown, Texas, went to be with the Lord on Sunday, March 17,2019 surrounded by his loving family. 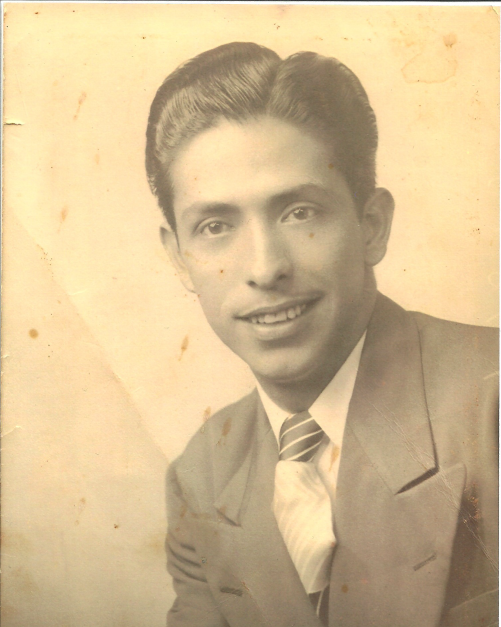 He was born on January 31, 1923 to parents Roman and Julianna Martinez. He was married in 1946 to the love of his life Mary B. Martinez. He was a Merchant Marine with the National Maritime Union for 43 years. He was involved in the Baytown Housing Authority, a devout Catholic and his hobbies were doing carpentary work, gardening and making shoes in his earlier years. Everyone addressed him as "Buelo" or “La Vibora” and always greeted everyone with a handshake and a smile on his face. He spent his days drinking coffee and loved spending time with his family and friends. Ruben was a wonderful man and he was and forever will be loved by so many, he will be greatly missed. He is preceeded in death by his parents Roman Martinez and Julianna Jimenez, his daughter Dymphna Theresa Martinez, his wife of 55 years Maria Bernal Martinez, his brothers Alberto, Everardo, Porfirio, Manuel and half brother Donato Martinez and sisters Paula and Catalina Martinez. He is survived by his half sister Esperanza Olivo and sons and daughters-in-law Joe and (Terry) Martinez Bernal, Michael and (Denise) Martinez, Ruben Martinez Jr., Jesse Martinez, Richard Martinez and daughters and sons-in-law Irma and (Jose) Montes, Mary Evangelina and (Frank) Rodríguez Jr., Patricia Ann and (Aurelio) Sanchez Sr., 12 Grandchildren; Crystal Redden, Michael Martinez Jr., Elizabeth Contreras, Joaquin Montes, Micah Bernal, Jose Montes, Christopher Martinez, Francisco Rodriguez III, Mark Martinez, Aurelio Sanchez Jr., Francisca Martinez, Priscilla Sanchez Garcia and 14 great-grandchildren, 1 great-great-grandchild as well as several nieces and nephews. The family sends many thanks to Dr. Gupta and his staff and a special thanks to Harbor Hospice especially his nurse Nena Kelly for treating him with compassion and dignity. Pallbearers: Aurelio Sanchez Jr., Francisco Rodriguez III, Joaquin O. Montes, Jose N. Montes Jr., Micah Bernal, Mark Martinez, Micheal Martinez Jr., Ricardo Lopez Jr.